We serve the finest local produce, cooked to order. Our beef comes from our own herd of cattle. Our lamb comes from our own flock of sheep. We grow our own organic potatoes and provide fruit and vegetables from our kitchen garden in season. 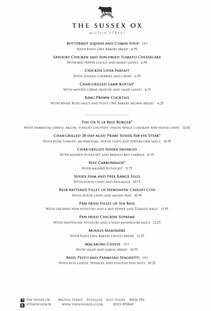 Our menu changes regularly and we have a children’s menu available on request.